After days of playing coy, the Nigerian government has now said it will not swap Boko Haram prisoners for the over 200 schoolgirls the militant Islamist group abducted a month ago. 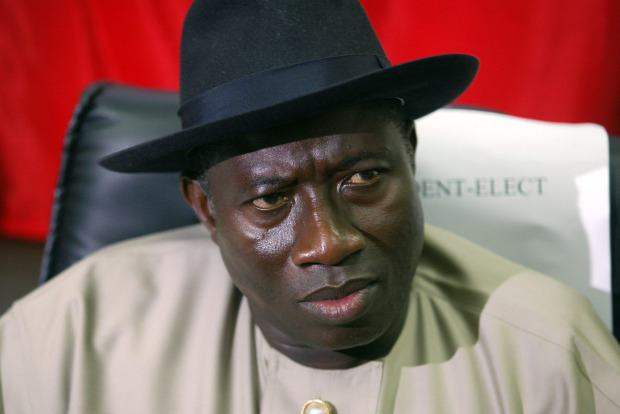 The decision by President Goodluck Jonathan was not unexpected by most foreign observers, and was relayed to the media separately Wednesday by Nigeria's Interior Minister Abba Moro and then later by Britain's top government official in Africa, Mark Simmonds, who had just come out of a meeting with Jonathan. Though not everyone is convinced that there is nothing going on behind the scenes. Many countries deny paying any money or even engaging in talks with hostage-takers. But Fred Burton, a vice-president at the global intelligence group Stratfor, says he has learned the hard way that these claims can be false. While employed by the U.S. State Department as a counter-terrorism agent, he worked on the Lebanon hostage crisis in the 1980s, when dozens of foreign nationals, including many Americans, were kidnapped. "We were looking for hostages being held, and lo and behold, our own government was negotiating with the terrorists behind everybody's backs," said Burton. The lesson, he says, is that governments sometimes "talk out of both sides of their mouth," despite knowing that ransom payments and prisoner exchanges can lead to more kidnappings in the future. The offer of a prisoner exchange by Boko Haram was "an extremely clever ploy" to put additional pressure on the Nigerian government, said John Campbell, who served as U.S. ambassador to Nigeria in the late 1980s and late 2000s. But even before the government made its position clear on negotiating, Campbell said he doubted it would happen. To concede anything to the Islamist sect would probably just escalate its years-long fight against the Jonathan government, increase the prospect of future kidnappings and cause the government to suffer an "enormous loss of prestige," says Campbell. "So I don't really think that in any meaningful way that negotiations are in the cards." Boko Haram and, to a lesser extent, the Nigerian government have been under intense international condemnation this past month since upwards of 200 schoolgirls were kidnapped by the militants from a boarding school in Chibok in the troubled northeastern portion of the country. After weeks of international pressure, including a #BringBackOurGirls Twitter campaign involving celebrities and politicians from all, the Nigerian government gave in and allowed Western militaries to help search for the missing girls. Earlier this week, though, saw the release of a second Boko Haram video that showed leader Abubakar Shekhau with some of the girls and demanding a prisoner exchange for at least the Christian schoolgirls in the militants' possession. In response, a Nigerian government official said "all options" are on the table, and that "the window of negotiation is still open." How serious that option was is open for debate. Boko Haram analyst Jacob Zenn has said that the Jonathan government has taken part in trade-offs with the militants in the past. Boko Haram, which loosely translated means "Western education is forbidden," began its violent insurgency about five years ago. Years earlier, it had emerged as a religious sect in the predominantly Muslim north, where many feel marginalized by the government in the south. Zenn, an analyst with the Washington-based Jamestown Foundation, told CNN that a year ago, Boko Haram raided Bama, a town near the Cameroon border, killing people and taking wives and children. It then used these hostages to demand the Nigerian security forces release Shekhau's wife and the wives and children of some of the group's commanders. Two weeks later, nearly 100 Boko Haram members and relatives were set free and those held by Boko Haram were "rescued," according to an official account, says Zenn. He also says that security sources told him there was a financial payoff as well. On Feb. 19, 2013, Boko Haram also abducted a French family of seven visiting a park in Cameroon. After they were released two months later, Reuters reported it had obtained a Nigerian government document that indicated a ransom of $3 million had been paid. French and Cameroonian authorities denied the report. Campbell cautioned that it's hard to know how the Nigerian government has dealt with Boko Haram in the past and whether it has paid ransom. "It never ever admits to having done so," he notes. Still, kidnappings are a big business in Nigeria. The country ranks third among those with the highest number of kidnappings, according to a 2013 report by Control Risks, a global consulting firm that specializes in such risks.